The Pacuare River – One of the Most Beautiful Rivers in the World! National Geographic Magazine has called the Pacuare River “one of the most beautiful rivers in the world. The Pacuare is the last major river in Costa Rica that has escaped environmental damage. Also, no human-made intrusions such as dams. 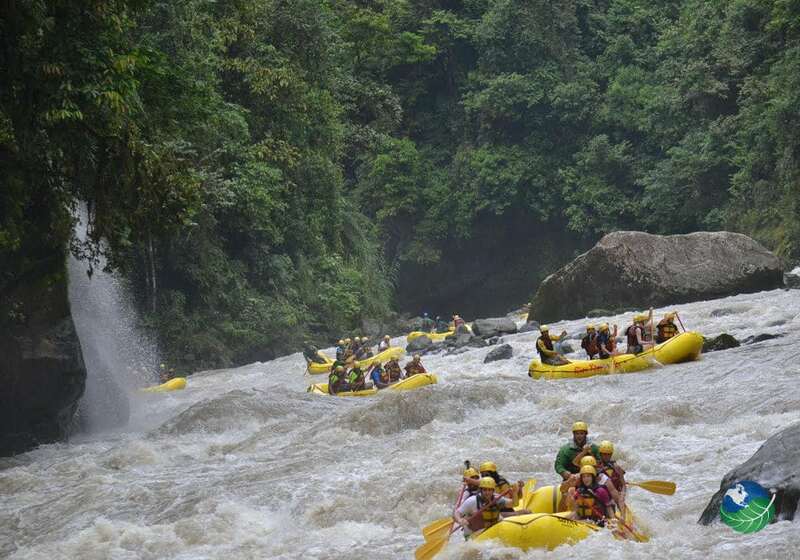 This means that not only can you experience some of the best whitewater rafting in Central America. You can immerse yourself in miles of virgin rain forest. Also, spectacular scenery and a wide variety of animals, birds plantlife. Pockets of the forest house exotic jaguars and ocelots. As well as monkeys and sloths and more birds than you can imagine! 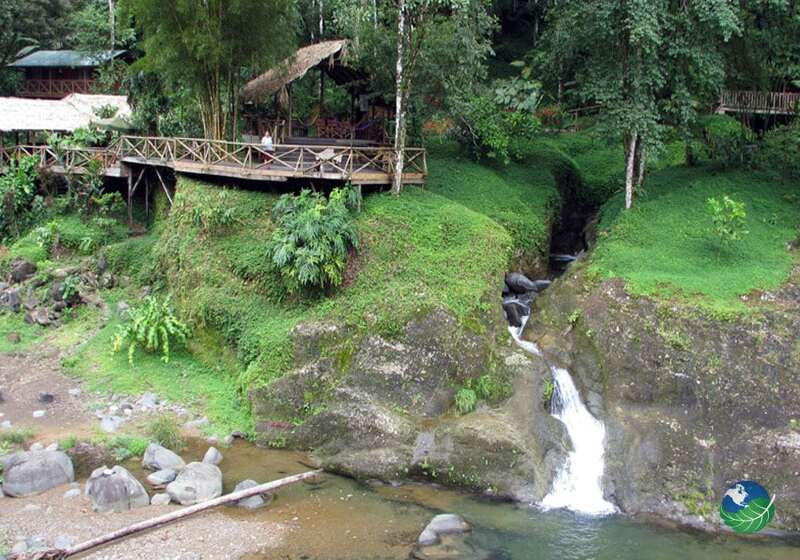 The Rios Tropicales Lodge located on the banks of this fantastic waterway. It offers guests a unique perspective on this amazing part of Costa Rica! 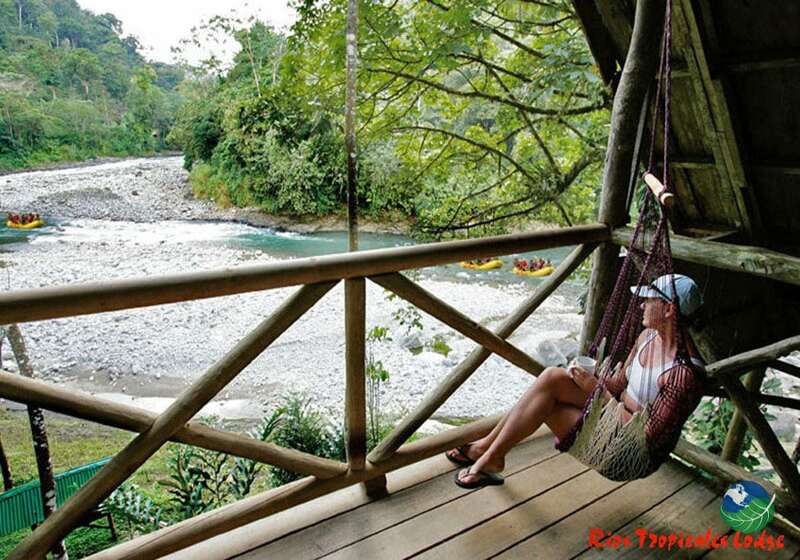 Rios Tropicales Lodge – Total Immersion in Nature! The Pacuare River begins its 108 km journey to the ocean high in the Talamanca Mountains. Though thousands of people enjoy rafting this amazing river every year. Only a few are lucky enough to stay at the amazing Rios Tropicales Lodge! 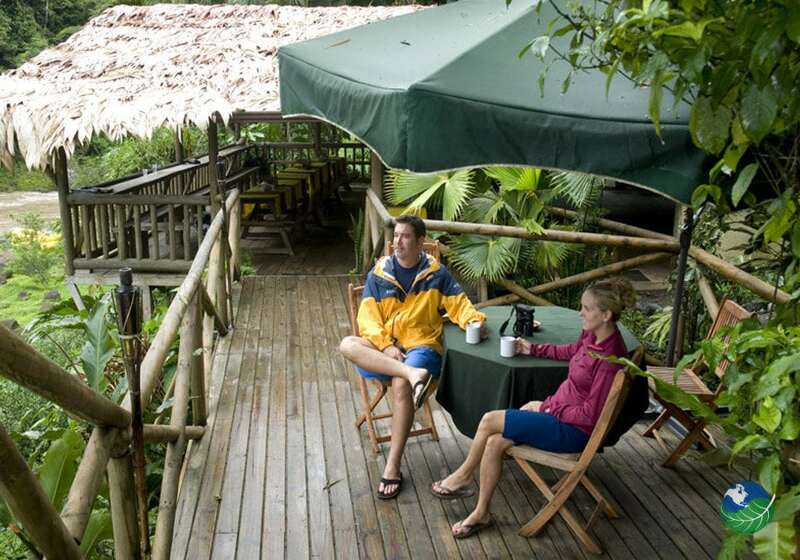 An Ecolodge located at the riverbanks in the rainforest. The Lodge offers each guest an opportunity to envelope themselves in the natural beauty and scenery of this part of Costa Rica. With a myriad of animal and plant life. And a location well off the beaten path, this is the destination for those individuals that are looking to experience a part of Costa Rica that can’t be reached by traditional travelers! Getting to the Rios Tropicales Lodge is generally accomplished by raft. Guests can begin their journey in either San Jose or from the Caribbean beach towns. Once at the Lodge there are many activities that can be incorporated into your stay including zip lines, visits to local communities and bird watching! When guests are ready to leave this paradise, they can raft out and then get shuttled to San Jose, the Caribbean or the Arenal, La Fortuna area. While at the Lodge all meals are included and guests enjoy healthy meals made from delicious local ingredients. Every afternoon there is a cocktail hour where travelers gather together for punch or a cocktail while the sun sets. An Adventure Destination Like No Other! 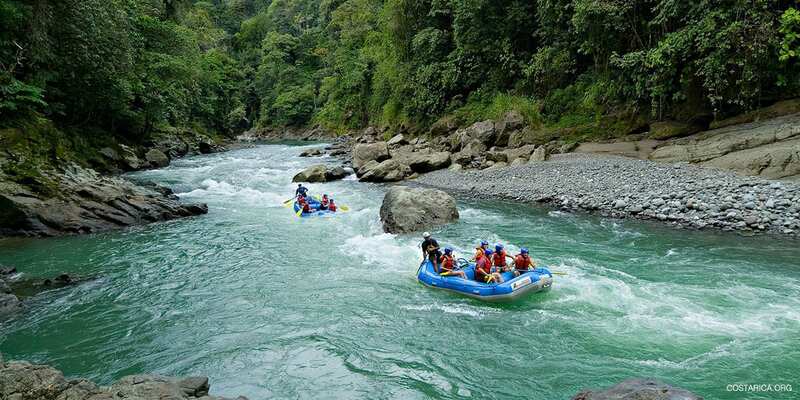 The Rios Tropicales Lodge offers two, three and four-day rafting adventures with nearly everything included at an extremely reasonable rate! The lodge comes with electricity and hot showers. They have a hydro powered generator system. The Lodge’s respectful of its place in nature and every effort’s made to promote sustainability and conservation in every way possible. 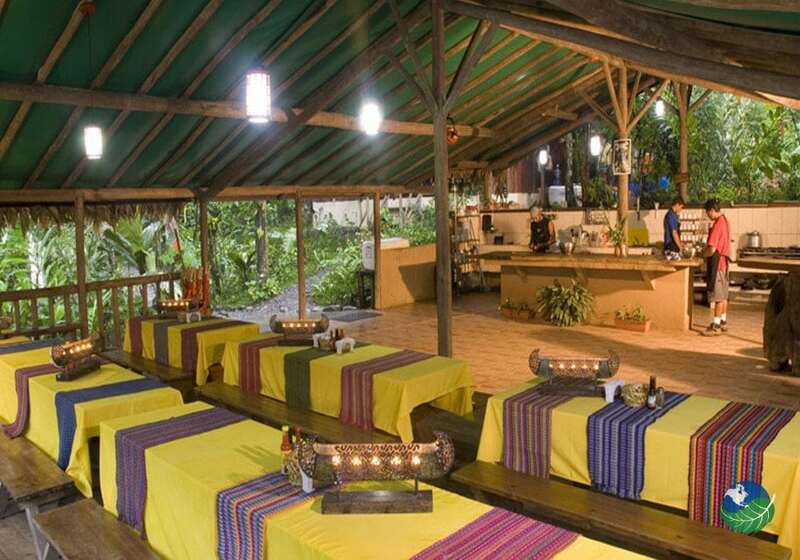 Enjoy candlelit dinners under the stars surrounded by nothing but the rainforest and the sounds of the animals and birds of the jungle. Your days come filled with intensive adventures while at night experience a peace that is hard to imagine! The Rios Tropicales Lodge is a unique lodging option for visitors looking for a remote getaway full of spectacular scenery and action packed adventure! Pacuare, Puerto Viejo. Adventure, Nature Guide, Drinks, Snack, Meal, Transfer, Equipment.